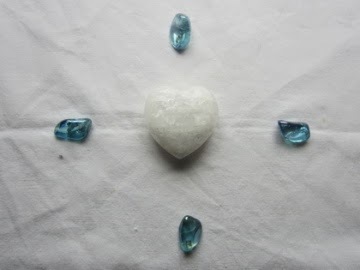 This meditation will use a Pure Grace Heart in connection with four aqua aura. Please use the image below as a positive focus. Hope you can join us. 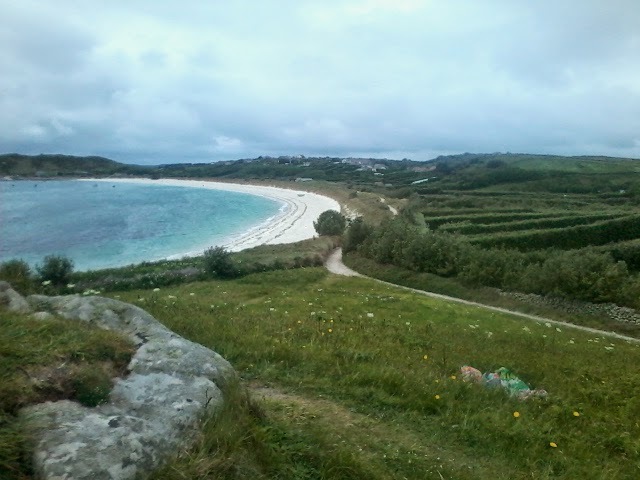 A Pure Grace Heart and aura triangle were planted in the Isles of Scilly at the weekend, on St Martin's Island. The scarf in the picture below marks the planting site. Many thanks to Isabelle, from Cornwall, for her continued planting work and the photograph. This meditation will be repeated for a third time next week. 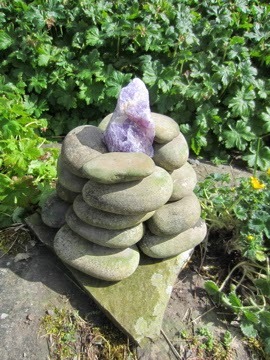 I have had some enquiries recently about the uses of amethyst, given the new amethyst cairn here at the Crystal Earthworks base. 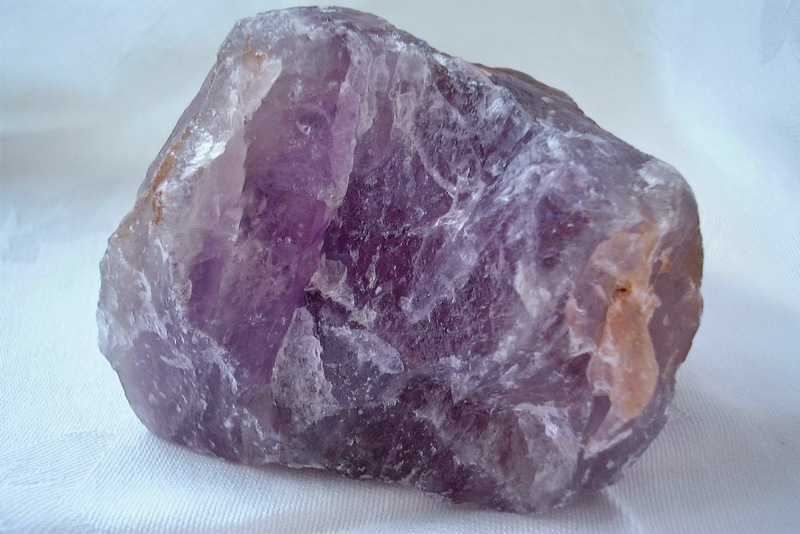 As with all crystals the energy resonance of amethyst is very specific but this resonance can be put to different uses depending on its programming. Amethyst is a very good absorber of negative energy, bringing positive transformation and in this way can be used as a protective amulet against negative environmental energies, to bring about positive change to an area of negative energy, to act to form a protective circuit to a home school or workplace, to contain the negative energy of landfill sites/recycling areas or in combination with rose quartz to bring about healing to areas of environmental disaster. It is also a useful crystal to absorb negative energy from the body and energy field during and after illness and to encourage spiritual connection by easing emotional blocks to such connection - hence the cairn! It is a truly beautiful and powerful crystal in which ever shape, form or colouration it occurs and is an invaluable addition to the crystal toolbox in our current turbulent and challenging times. 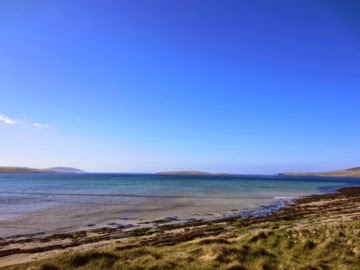 Looking out across Eynhallow sound to Eynhallow, also known as 'The Holy Isle', on a beautiful day in Orkney. The crystal cairn here at Old Nisthouse, Orkney has been rebuilt and the snow quartz replaced with amethyst. The cairn was ignited through midday today and will be the focus of tonight's meditation to send healing to the Earth and her inhabitants, through strengthening spiritual connection. Hope you can join us!